Becca and Jack were set up on a blind date by mutual friends for Yale’s annual Freshman Dance, in which you’re supposed to meet your unknown partner in the most embarrassing way possible. Jack was cold and shivering—perhaps because he was wearing nothing but a tank-top and miniskirt. Becca was a bit warmer: she was swamped in oversized clothing, donning a long-sleeved collared shirt, tie, and khakis. The instructions were simple: find the other person wearing your clothes. 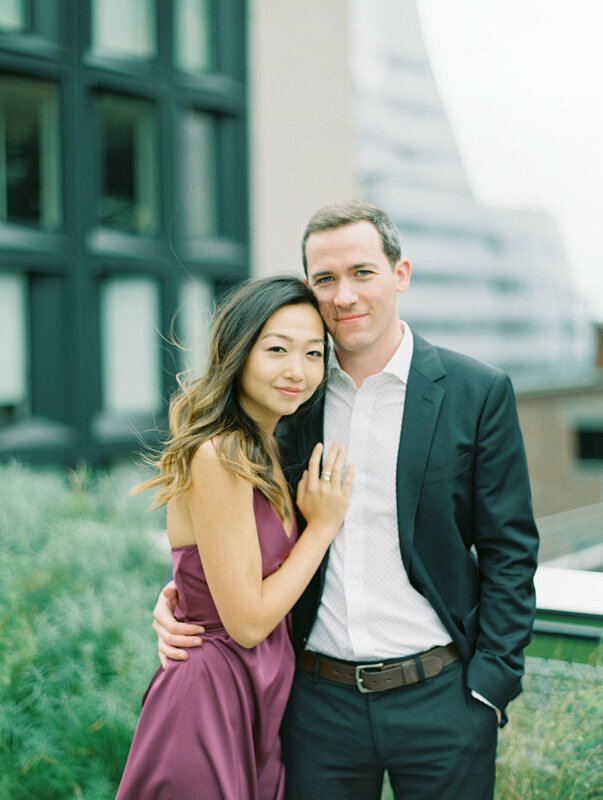 An amazingly cute "how we met" story for an adorable couple. 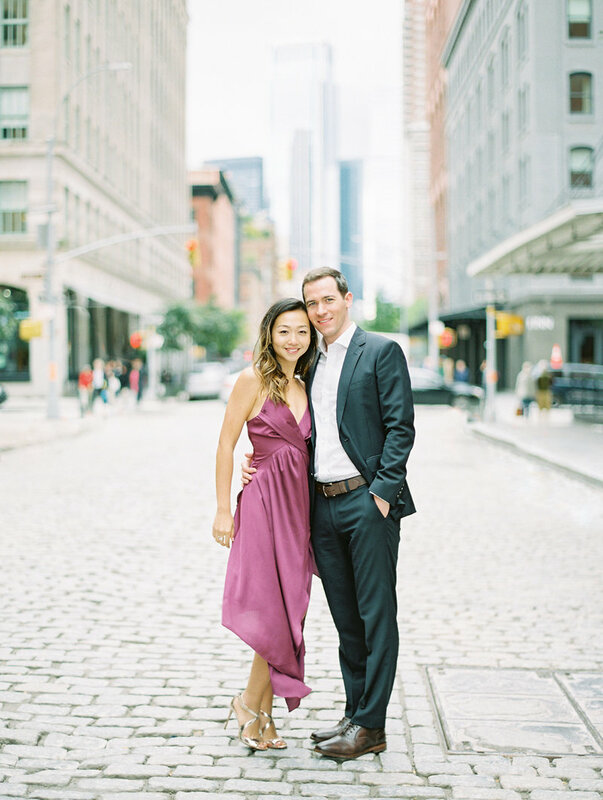 Becca & Jack are New York City people through and through, so without a question, we knew they needed to do their engagements in the city. Having just moved into their first apartment in Chelsea, it was the perfect place for the photos. It was a windy and rainy day, but you would never be able to tell by how gorgeous they look!